After the Aid Station Marshal told me that I can no longer continue the race since I arrived at the Aid Station beyond the cut-off time of 1:30 PM of Saturday, I entered the Big Tent and ate some of the remaining food and drank some Ice Cold Coke. 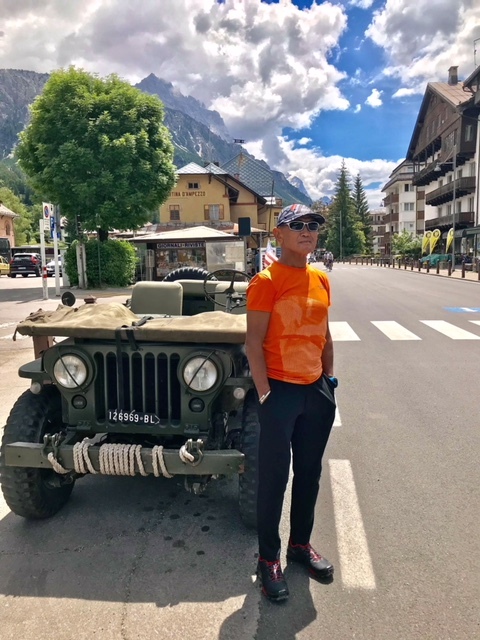 I was told to wait for the remaining runners on the road approaching the Aid Station before we could board the Bus waiting to bring us to Cortina. While waiting for the other runners, I brought out my dry long-sleeved Columbia Shirt from my Salomon Hydration Pack and removed my Patagonia Windbreaker and the rest of my upper clothing as they were wet from my perspiration. I was able to change my clothes and ready for the trip back to Cortina. After about 40 minutes, all of the rest of the runners who were cut-off at the said station were accounted for. There were 3 ladies and 9 men, to include myself, and I have the impression that I am the oldest among the DNF runners. The asphalted road from Cimabanche to Cortina seems to be a road that connects to all the mountains in the Dolomites. The road was not busy with traffic as I could not see or meet along the road big trucks and commercial buses. I could count with my fingers those private vehicles who were plying along this road. I slept for awhile until two of the younger runners (in their 40s) started talking to each other and they are Italians. They were comparing notes using the map on their Race Bibs on what went wrong with them. Although I could not understand what they were talking about, they were pointing on the descending portion from the Peak of Lavaredo to Landro as they talked to one another, the same section where I had my problem. I just smiled and tried to doze again. 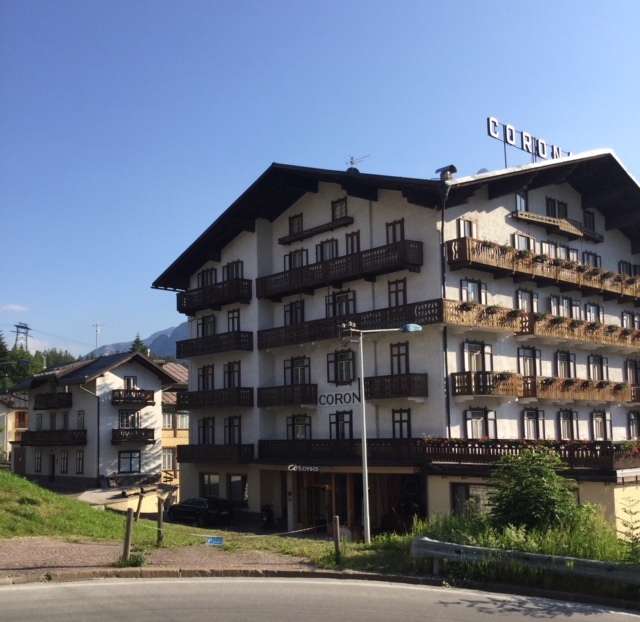 After almost one hour, the Croatian/Polish lady was dropped in front of her Hotel which was along the highway, and 1.5 kilometers aways from Cortina. The bus finally stopped in front of the Olympic Ice Stadium and all of the remaining runners to include myself, alighted from the Bus. From there, I was limping while walking and carrying my things to reach my Hotel which about 650 meters from the Olympic Ice Stadium. I immediately had my hot shower and changed to my sleeping clothes. I ate whatever “left-over” food and fruits in the room and prepared instant noodles before I finally went to bed. At this time, it was already 5:00 PM of Saturday. I did not bother to check the Ultralive website about my personal data during the race and to those of the remaining Pinoy runners on the course. I was really tired and sleepy at this time. I woke up at 6:30 AM of Sunday and I was happy that I was able to sleep more than 12 hours. I prepared a hot coffee and as I started to drink, I opened my Laptop to find out what happened to the rest of my Filipino friends. Since the cut-off time for the TNF Lavaredo is 5:00 AM of Sunday, I knew that the race was over already. I checked first on the LiveUltra page of Arwin and I was surprised that he DNFd somewhere in Km 90. I wonder what happened to him since I knew and was confident that he would be the one to finish the race with an impressive time because of what I’ve been reading and seeing on his training in Abu Dhabi, Dubai through his Facebook status. 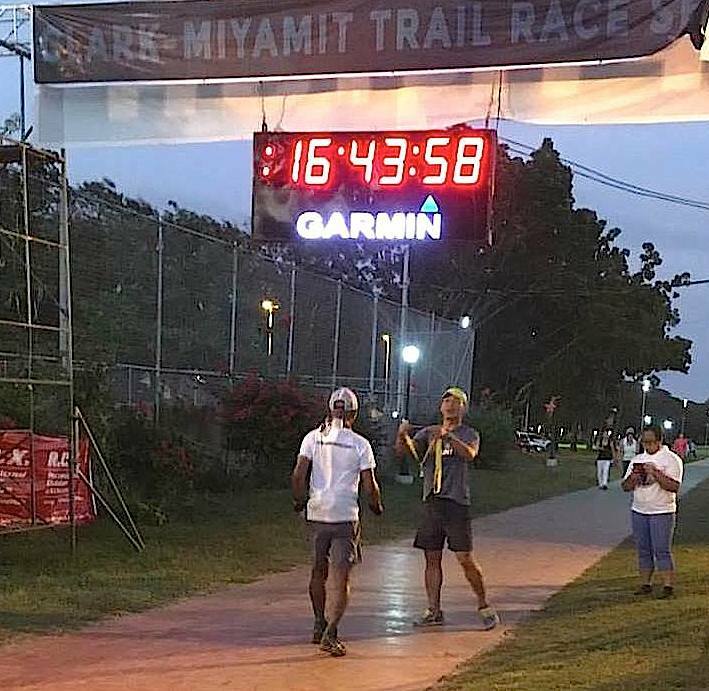 After looking at Arwin’s Page, I went to check if what happened to Rodel and I was surprised that he was able to finish the race in 29:23:10 hours. I was really happy that, at least, one of us in this year’s edition was able to finish the TNF Lavaredo 120K Ultra. I tried to review his time in every Cut-Off Time Checkpoint and I was impressed that he was able to make it in every checkpoint in a single digit number of minutes before the cut-off time in every checkpoint. I wonder what it was like for him to be catching up with the cut-off time in every checkpoint after the Cimabanche Aid Station (Km 66.9) and with those relentless uphill climbs on the second half of the course plus the cold weather during the second night. I have assumed that Arwin and Rodel had already left Cortina and took the Bus to their Accommodation place which is 20K from Cortina but after few minutes of browsing on Facebook and the results of the TNF Lavaredo on my Laptop, I received a Personal Message from Arwin asking me if we can meet at the Hotel to exchange notes and share our experiences with one another. Since I liked the idea of sharing ones experience with one another during the event, I asked them to proceed to the Hotel and I would wait for them at the Veranda/Main Porch of the Hotel overlooking the bridge and road leading to the town proper, the same place where we met and talked last Thursday. I immediately came out of my Hotel room and went to the Hotel’s Porch to wait for Arwin and Rodel. After about 15 minutes, as I was going to the Hotel’s Porch, I saw them from the road leading to the Hotel walking slowly. I could understand and relate what these two gentlemen were feeling at that time looking how slowly they walked towards me. I immediately asked them if they need to have a shower as I offered my Hotel Room to them just in case they needed it. But they declined as they wanted just to share some stories with me. Arwin told me that that he had temporarily cleaned himself while he stayed at the Olympic Ice Stadium after he was transported from where he DNFd. Rodel also declined as he told me that he was able to change to dry clothes already and would be much better for him to take a shower in their place. We sat and we started to share our own experiences. 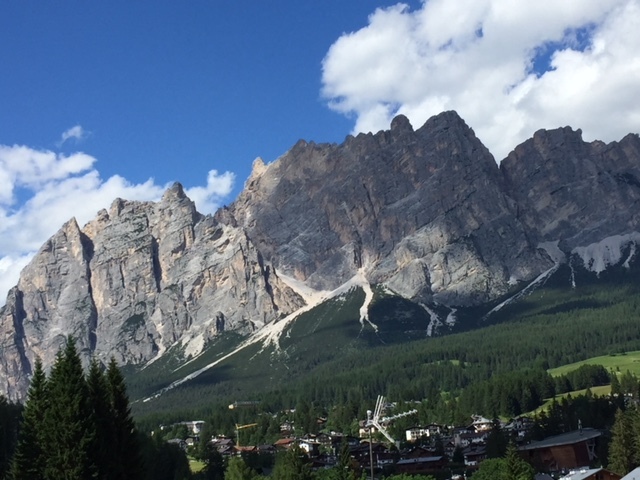 I told them what happened to me at the switchback descent from the Peak of Lavaredo to Landro——twice experiencing dizziness and severe pain on my left knee that caused my slow pace. Arwin, on the other hand, shared his experience and he told us that at the same section where I had some dizziness, he was able inhale a “cold air” that went inside his lungs and made him feel weak on the uphill climbs after Cimabanche. 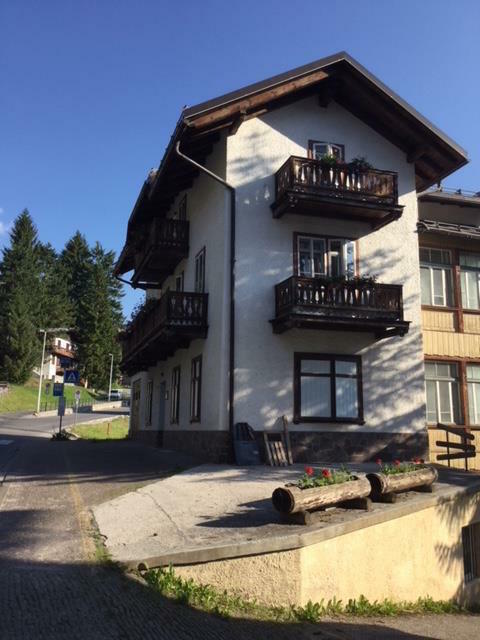 As he struggled at the uphill climb from Km 80 to Malga Travenanzes, he said, that he was feeling weak and lots of hikers/runners had passed him at this section to include Rodel. He finally DNFd at Km 90+ at Rifugio Col Gallina. Rodel told us that he had almost been cut-off from Cimabanche (Km 66.9) up to the last Checkpoint of the course. He could not believe that he was able to run, non-stop, from Malga Ra Stua (Km 76) to Plan De Loa for about 3-4 kilometers just to be able pass the checkpoint and then at the Peak of Col Del Bos (Km 92) to Rifugio Col Gallina (Km 94). He told us that he was praying “non-stop calling all the saints”, his parents and his relatives while he was running and hiking to these Checkpoints. We talked for almost one hour and half at the Porch until I asked the Manager of the Hotel if I can invite my friends for the Breakfast Buffet and I will be willing to pay for their bill. The Manager said, “You can invite them for Breakfast and it’s FREE for them!” Wow! I was surprised to hear such generous words from him! Stefano, may the Good Lord bless you always! 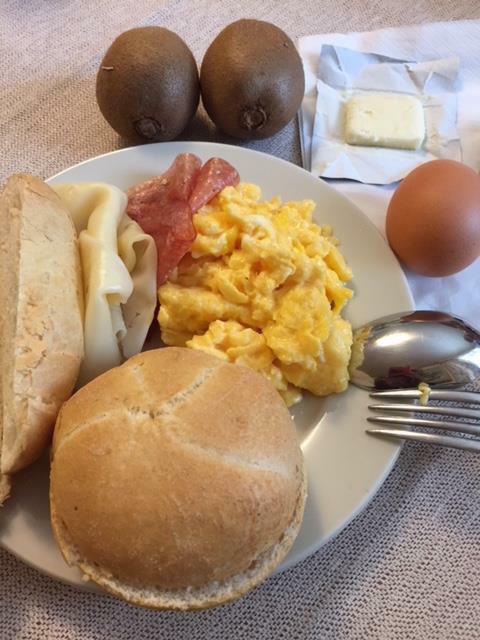 So, we continued sharing our stories while we had our Breakfast Buffet on the morning of Sunday. We stayed at the Hotel’s Restaurant sharing lots of stories and observations during the race until the Breakfast Buffet was closed at 10:00 AM. We parted ways later as I can see on the faces of Arwin and Rodel that they are about to doze. They left the Hotel and walked to the Bus Terminal which is just few meters away from the Hotel. 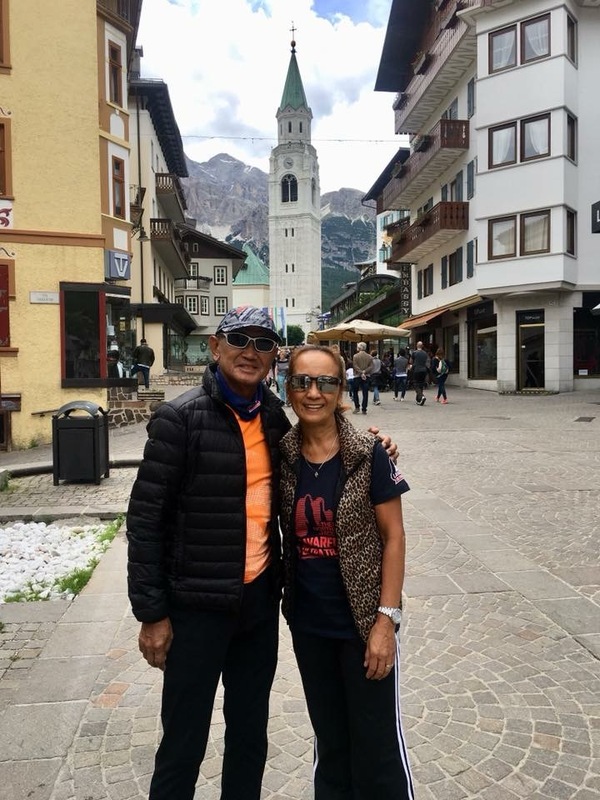 I really appreciate this kind of conversation and exchange of experiences among Filipino runners while joining an international running event abroad. These guys are real people who are very graceful in defeat and humble in victory. I told them that I had posted already a Facebook status that says that I DNFd at the event stating directly the cause of my failure. I asked them also to do the same as most of our Facebook friends are eager to know our personal “drama” in the said event. 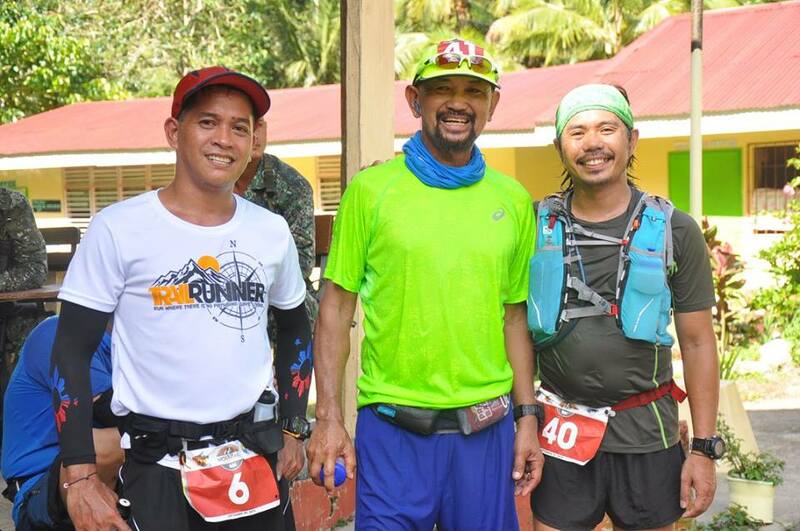 I promised to these two gentlemen that I am going to document, through this blog, all the things that we experienced in this event and I told them that it will be a very detailed one which be used as a guide for future local Pinoy runners and other interested runners around the world. Even if I was not able to finish this race, just a short glimpse and description of what I went through, would be able to provide a part of the puzzle of what makes TNF Lavaredo a race to experience and what makes the Dolomites as one of the best mountain scenery destinations worth visiting. I went to bed once I got into my room after breakfast. I was able to sleep until after noon time and woke up at about 2:00 PM. I decided to have my recovery walk in the afternoon to the Town Center, shop for some souvenirs and look for a place for my early dinner. As I left the Hotel, I met some of the runners, some who DNF also and some who finished the Ultra and shorter races. They were leaving the Hotel for the Bus Terminal and enrollee to their respective countries. I will post a separate blog for these runners whom I met during this event. As I was walking along the main road of the center of the town, I saw Hayden Hawks, the Champion of this year’s TNF Lavaredo 120K at the Event’s Arc. We had a picture and a brief conversation as he told me, after telling him my name and my country, that he has an Uncle who is a Filipino, married to his Auntie from Utah, USA. He asked me if there are Ultra Running Events in the Philippines and I told him that I am the Race Organizer/Director of the Bataan Death March 102K Ultra Marathon Race. He told me that he had not yet visited the Philippines and he might consider visiting the country in the near future. 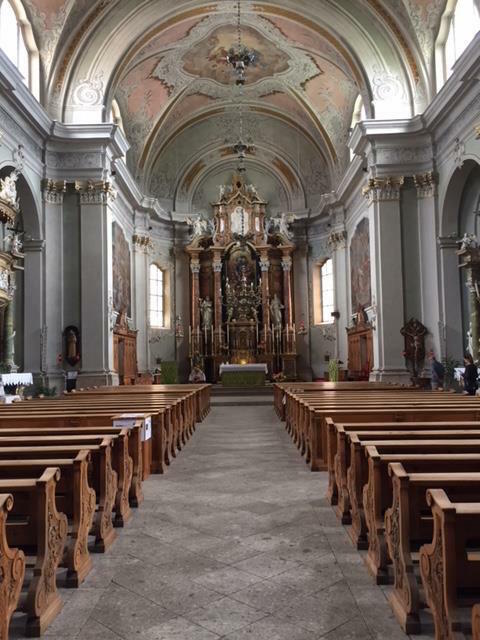 Before dinner, I was able to really go around the town, getting inside the Cortina Church to pray which I found out to be a Minor Basilica, checking where the Bus terminal is located, looking for Sports Stores where I could buy some souvenirs, and just simply sitting on those benches along the main road of the town while looking at the people walking around. This was the time that I could also see a lot of runners wearing their Finisher’s Vest/Gilets as they are also doing their recovery walks. 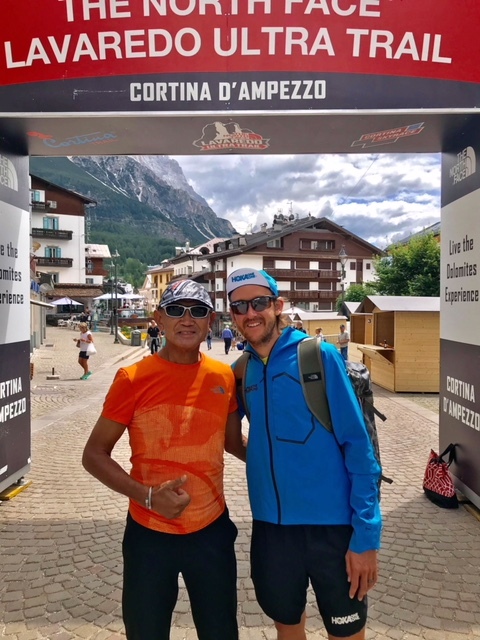 I felt envious with these runners wearing their Vests/Gilets and I really respect them for what they had done, whether they finished the TNF Lavaredo 120K or the shorter Cortina Trail 48K, they really conquered the Dolomites! As I was sitting on one of the benches, I saw Tess Geddes, a Filipino Ultrarunner who is now the Race Organizer and Director of the Grand To Grand Ultra Marathon Race in Utah, USA. 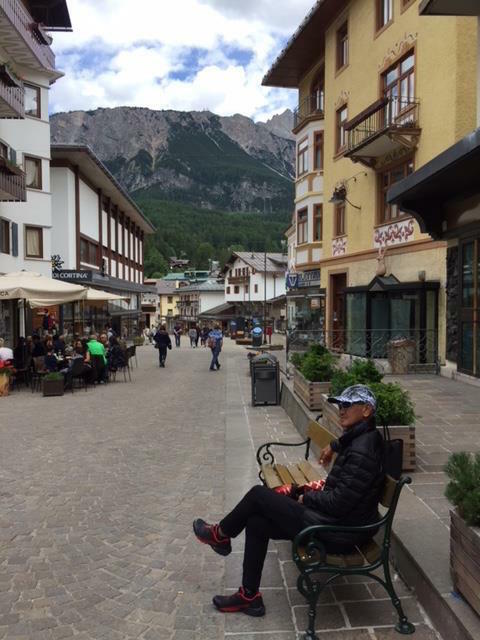 She joined the shorter Cortina Trail 48K and we shared some stories while we were sitting on the bench. After about 30 minutes of conversation, we parted ways as I was trying to look for some running attire which I saw being used by some runners during the event. 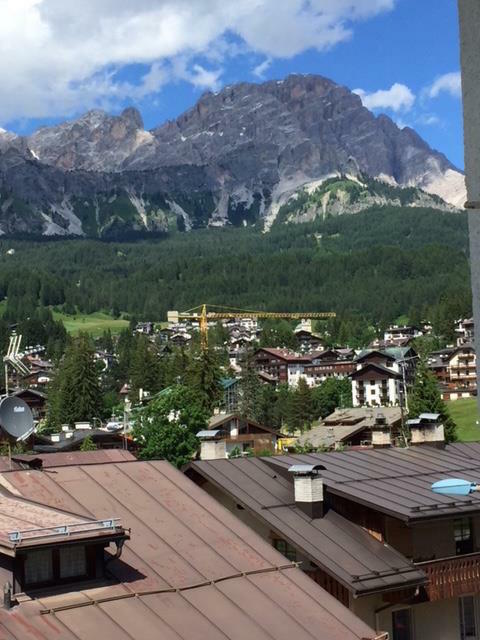 As most of the restaurants in Cortina opens at 6:30 PM for dinner, I tried to walk around some places farther from the town center as I waited for the opening of the eating places. 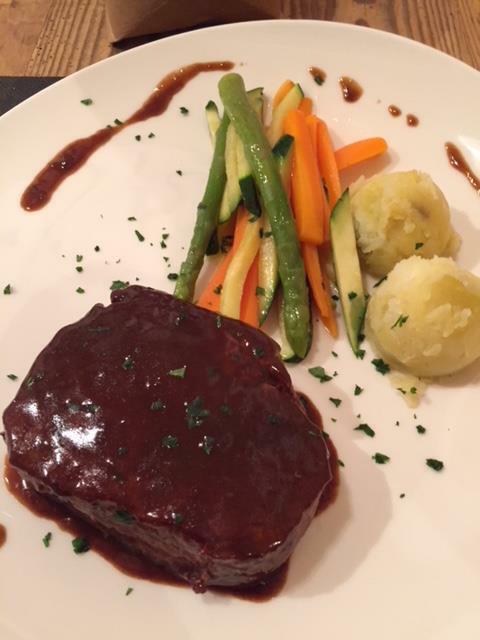 Finally, I was able to find a restaurant that offers a fine dining cuisine and I rewarded myself with my last dinner in Cortina. The best steak in town! I continued my celebration in my Hotel Room with two bottles of local beer before going to bed on my last night in Cortina. Tess Leono, a Project Analyst of the Asian Development Bank (ADB) and local resident of Mandaluyong City, Metro Manila finished the prestigious Badwater 135-Mile Ultra Marathon Race which starts from Badwater, California in the Death Valley National Park passing through three mountain ranges up to the Finish Line at Mt Whitney Portal which is considered as the highest mountain in the mainland USA. The race is popularly known as the “World’s Toughest Foot Race Event” because it starts at an elevation of 280 feet below sea level and finishes at an elevation of almost 8,300 feet above sea level. Runners would be able to tackle and pass three mountain ranges that would total a cumulative vertical ascent of 14,600 feet up to the Finish Line. Adding to the elevation, the prevailing temperature during summer in the area is 120-145 degrees Fahrenheit with gusty winds in the mountain ranges and sandstorms on the flatter areas. This year’s 39th edition of the race was held on July 18-20, 2016 with 97 runners who were divided into 3 separate Starting Waves according to their past qualifying races. Tess Leono started the race with the First Wave at 8:00 PM of Monday, July 18 with 30+ other runners. The faster runners, 3rd Wave, started at 10:00 PM of the same day. Tess Leono finished the race in 46:01:29 hours and ranked #82 among the 97 starters. The race has a cut-off time of 48 hours and checkpoints and time stations were located along the route which strictly impose intermediate cut-off times. Each runner-participant is equipped with Spot Satellite Tracker device showing their real-time location during the race which can be seen by everybody on the Internet. The runners came from the different countries and from the different states in the US who were duly screened and invited to join the race. Most of these athletes are noted Ultrarunners, Triathletes, Adventure Runners, and Mountaineers. Runners from twenty (20) different countries were represented and the remaining runners represented twenty-seven (27) States from the US. Out of the 97 runners, 51 were Veterans/Repeaters and 46 were “first-timers” or rookies. Tess Leono is one of the “first-timers” in this race which happens to be her first visit to Mainland USA. 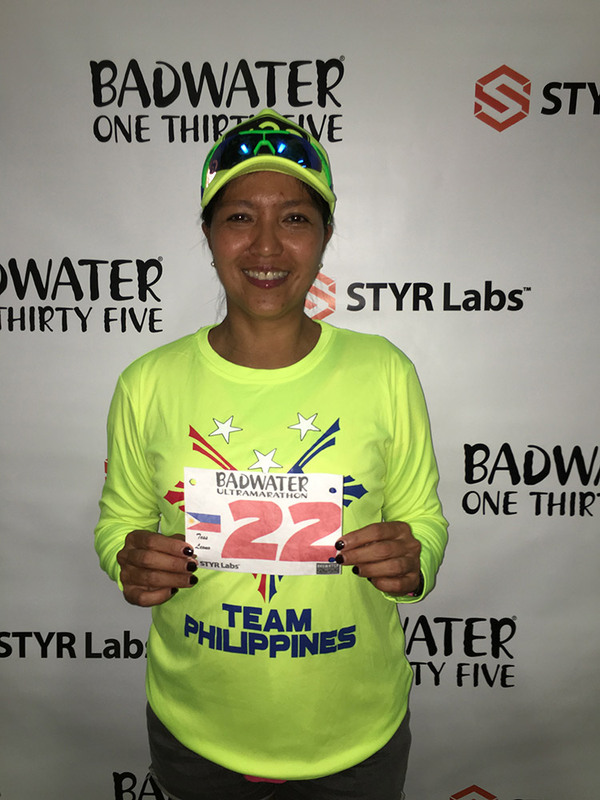 Her accomplishment in this race gives her the titles as the “First Local Filipino Runner” and “First Filipino Woman” to ever finish this prestigious race. 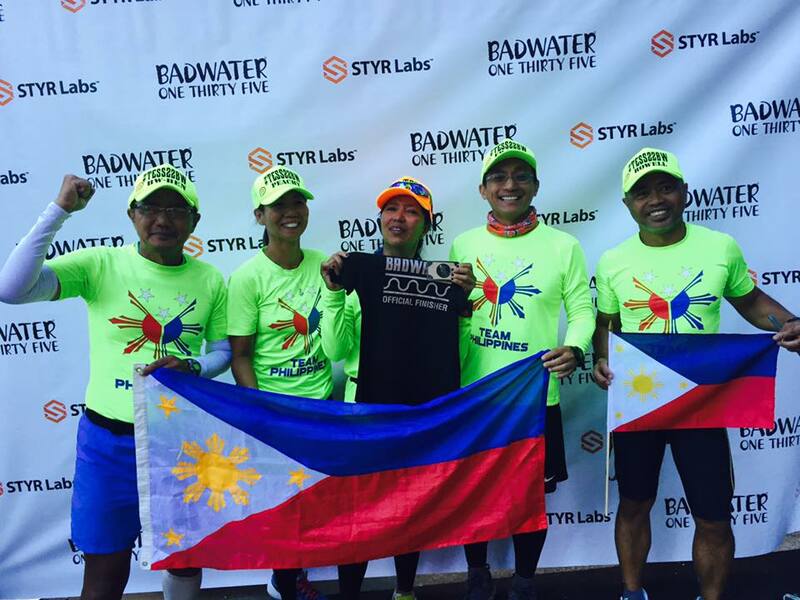 On the other hand, Gerald Tabios, another Filipino Ultra Runner residing in New York City also finished the race for the third consecutive times since 2014 where every edition he improves his finish time. He finished the race in 41:42:20 hours, an improvement of 40+ minutes, and ranked #61 out of the 97 starters. Gerald Tabios is from the Province of Bukidnon. The Overall Champion in this year’s race is Pete Kostelnik of Nebraska, USA with a finish time of 21:56:32 hours registering a New Course Record for this race. He won the race in last year’s edition and finished it faster by almost one hour. In the women’s side, Venti Alyson of Barbados, USA won the Women’s Championship placing 5th Overall with a time of 25:53:07 hours. 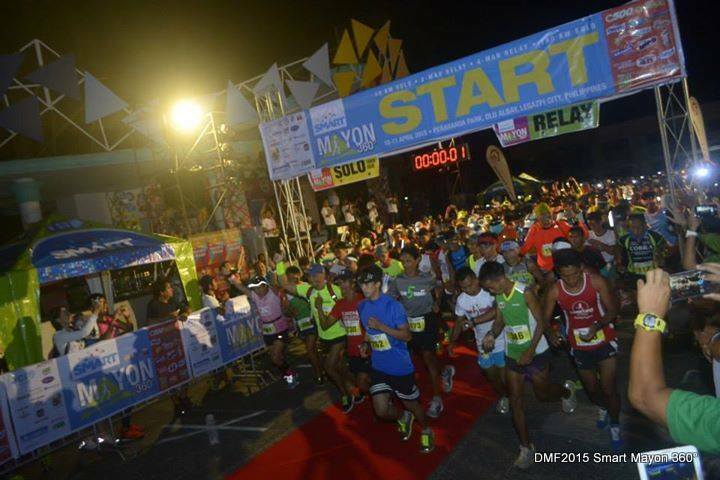 Out of the 97 starters, 13 runners were declared as DNFs due to fatigue, injury, and effects of the environment to them. Tess Leono started as an ultrarunner by joining the scheduled races of the Philippine Association of Ultrarunners (PAU) and the Bald Runner’s Events for the past three (3) years and her consistent performance as Lady Champion and Podium Finisher in these road & trail races earned her the PAU Runner Of The Year Award for two consecutive years (2014 & 2015). She is the only woman who have finished the PAU Grand Slam Races in one year (Antique 100-Mile Run; West Coast 200K Ultra Run; Taklang Damulag 100-Mile Endurance Run; and the Bataan Death March 160K Run). 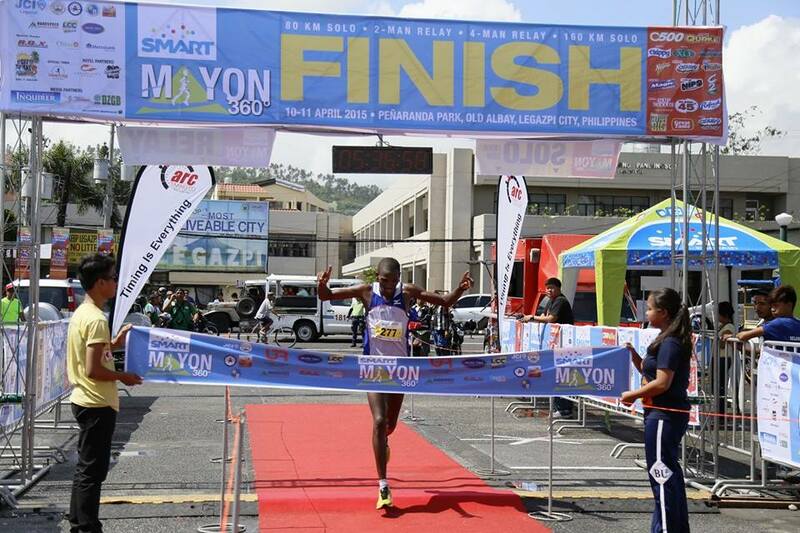 Last February of this year, she was declared as the Lady Champion in the yearly Manila To Baguio 250K Ultra Marathon Race. 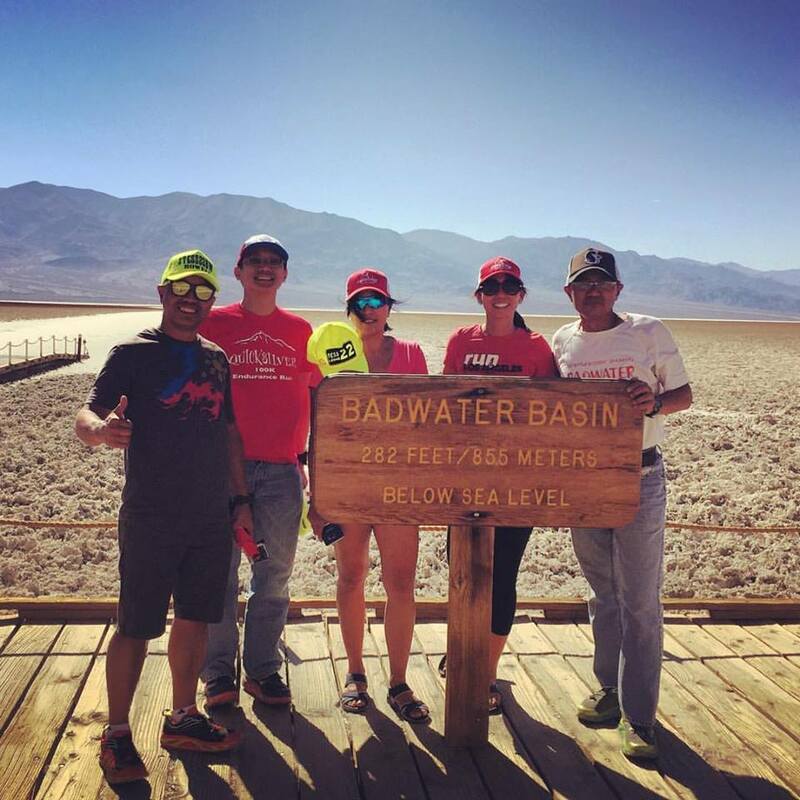 She submitted her finishes in these PAU Races as her qualifying races to join this year’s Badwater 135 Ultra Marathon Race. At the moment, Tess Leono is now resting and recovering from the said race. In an interview with her, she said that this race is so far the most challenging foot race that he joined and she is happy that she was able to push through despite her “down/low” moments along the route. 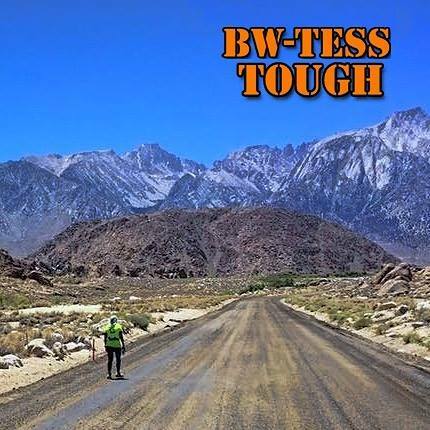 “I did not know why I tripped and fell down on the pavement on the downhill run from Townes Pass to Panamint Springs for two times that my Support Crew had to immediately treat my wounds on my hands and legs. I owe a lot from the support, care, and pacing provided by my Support Crew headed by Benjamin Gaetos”, she said. 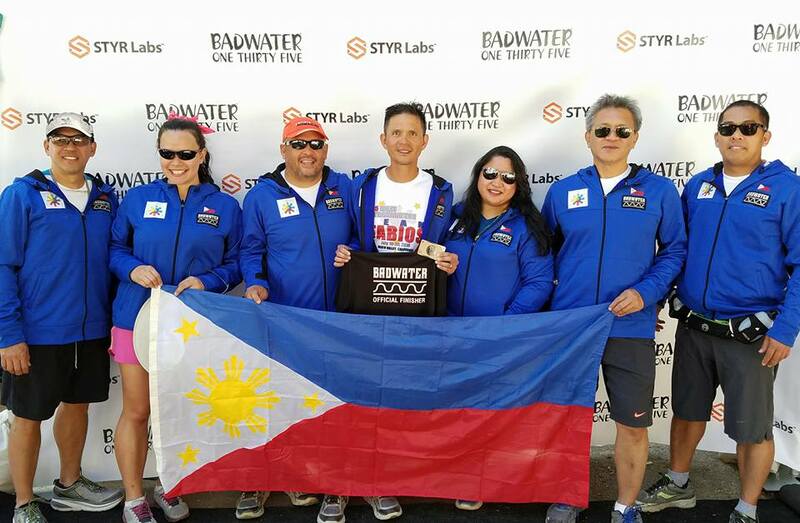 Benjamin Gaetos, a Filipino Architect/Engineer residing in Los Angeles, California is the First Filipino to have finished this race in 2013. 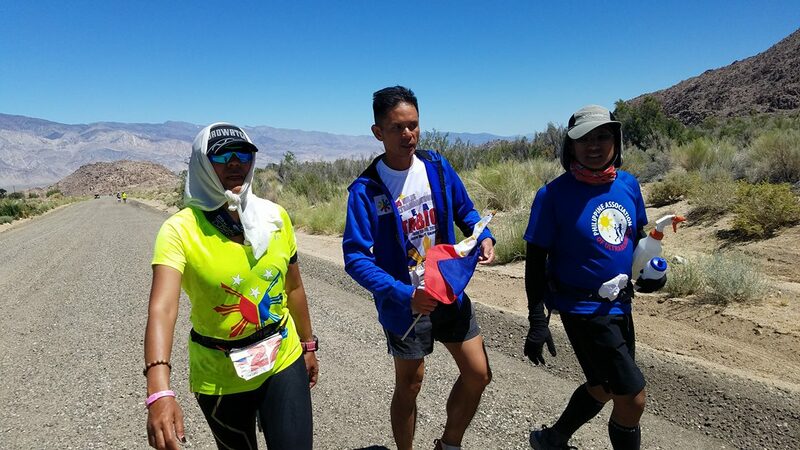 The other team members consisted of Western States 100-Mile Finisher Franco Soriano of Livermore, California, Rowell Ramos & Peachy Poso, both from Los Angeles, California. 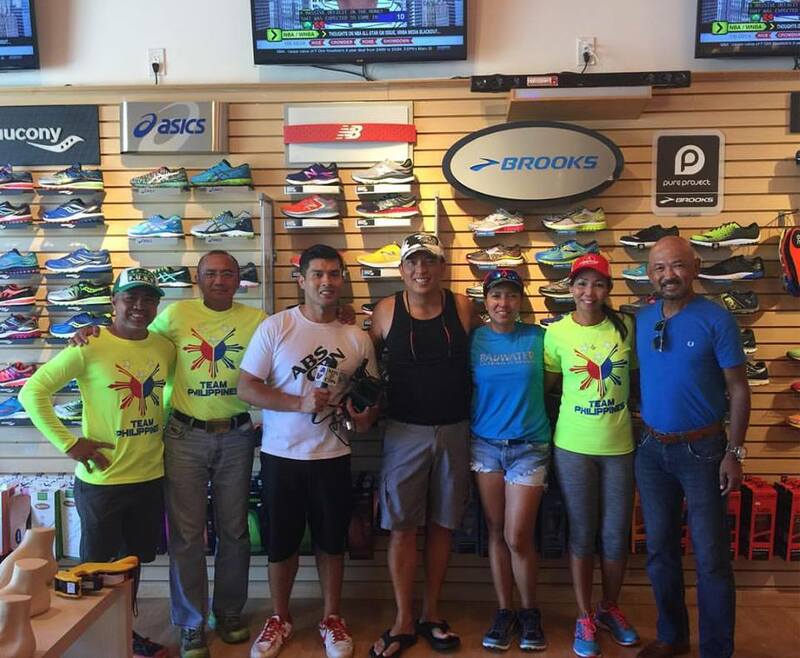 They are all accomplished ultra runners who have prepared and trained for this event. Tess also said that, “The hot temperature along the route was too much to bear as compared to the prevailing temperature in the Philippines during summer and the gusty winds on the peaks of the mountain ranges along the route was too strong that I had to slow down to a hiking pace”. In her statement, she was lucky that on the second night the temperature plunged to its lowest at 60 degrees Fahrenheit that she was able to recover and ran faster, however, she started to have colds as a result of the sudden change of temperature. Knowing that her friends and running mates in the Philippines are rooting for her success, it was pure grit and determination that drove and motivated her to finish this race at all cost. 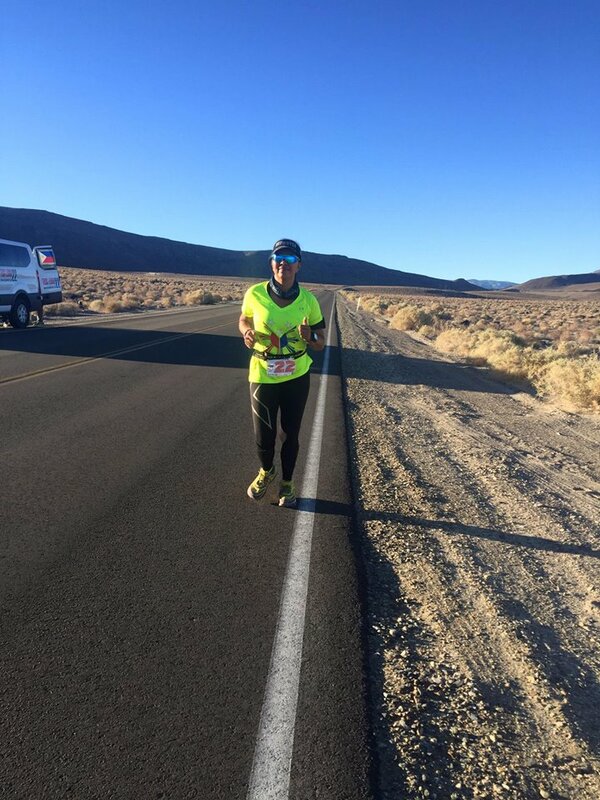 “I will never forget my experience in joining this race as most of the runners who would pass me along the course would either stop or walk just to engage a conversation with me and try to encourage me with their positive advise of pushing through my pace up to the Finish Line. It is heartwarming that most of them would say that they will be waiting for me at the Finish Line and they really did! This is the reason why I love ultra running!”, she said. Tess Leono made a history and she will be an inspiration for more Filipino ultra runners to shine in international competition. In an interview by the Balitang Pinoy of ABS-CBN California with the President of the Philippine Association of Ultrarunners (PAU), the National Sports Federation on Ultrarunning in the country, Major General Jovenal D Narcise AFP (Ret), he said that, “After 7 years of patience and consistency in conducting ultrarunning races in the country, it is now proven that our runners could compete in international races and that would give pride and inspiration to the whole nation and we have our first woman finisher in the Badwater 135 Ultra Marathon”. He also added that, “With this accomplishment and participation of our runners with other countries, hopefully, the government will have the heart and political will to provide “all-out” support to our athletes/runners in this kind of sports”. 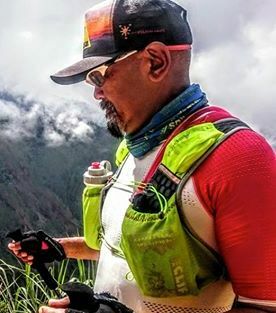 General Narcise is the Founder and Race Organizer & Director of the yearly “Bataan Death March 160K & 102K Ultra Marathon Races” which is tagged as the most prestigious Ultra Marathon Event in the country. As a “newbie” in running, the number of minutes and hours that our feet on the ground, whether one is jogging, walking or running, is the measurement of our endurance. In our training journal, we take note on the time and distance we have finished for the day. To some of the average and elite runners, they consider time as the most important gauge for their daily workout as they can already estimate the distance they have finished. In short, in training, the time to cover a certain distance is our most important data in our training journal. In racing, we try to compare our previous finish time with that of our recent finish time in the same distance and often, we brag and congratulate ourselves that we had a “PR” (Personal Record) or “PB” (Personal Best). That is fine and predictable to every runner. However, once we are already a “veteran” runner or marathoner, we tend to be soft and some sort of “lazy” to improve our performance by having the fastest “PR”/“PB” and the thinking is that we are more focused on the number of marathon races that we have finished as we grow older. If you noticed in this blog’s ABOUT Page, I’ve been lazy updating the number of ultra races and marathon races that I’ve finished. If I have the time and motivation to update this Blog’s Page, I might include the list of my DNF Races. Personally, with my age of 63, I have already stopped counting the number of races, whether they are trails or roads, that I’ve finished. A Facebook friend of mine came up with a Status about her observation on people who would ask for the Finish Time every time their friends would finish a Running Event and brags it on the Social Media. To some, it is an unethical and unacceptable practice of runners to ask another runner’s Finish Time if he/she brags about finishing a certain race, whether it is a road or trail. To most of the veteran runners, whether their times are slow or average or fast, they are proud to mention their Finish Time because to them, Finishing Race or Crossing the Finish Line in a healthy condition is the MOST important achievement as a result of their training. What is the protocol or accepted norm about this situation? Is a runner obliged to mention his specific finish time in a running event if he/she post his/her accomplishment on Facebook or in the Social Media? To me, a runner must state his/her Finish Time because it’s a Race where one has to go against the Clock. That is the reason why there is a Clock displayed at the Finish Line! So, whether one finishes a race locally or abroad, he/she is obliged to mention his/her Finish Time (because there is a Clock at the Finish Line) if he/she has the intention of bragging on the Social Media. Since it is the first PAU-sponsored event in Zamboanga City and being the one who suggested this event to be conducted, I have to join this race as one of the participants. It is also a part of my “evaluation runs” to test if my training program is working and to determine some feedback on the improvements of my speed, endurance, and nutrition. Lastly, it is also a way of sharing my experience to my readers, hoping that one day they will be a part of this race. Nutrition & Hydration——It is the most important thing that one have to plan and have a strategy to be strictly followed. Although there are Aid Stations along the route, I was not well-informed on the details and what kind of drinks and food that are available in the race. Although, I have a general idea of what to expect in those Aid Stations. So, I brought my own “mini-nutrition pack” stashed in my Ultimate Direction (UD) Belt. I had 2 Packs of Clif Bloks (one pack in the UD Belt & one pack in my shorts front pocket); one Meal Bar (in my UD Belt); and two (2) GU Gels stashed in my shorts back pockets. 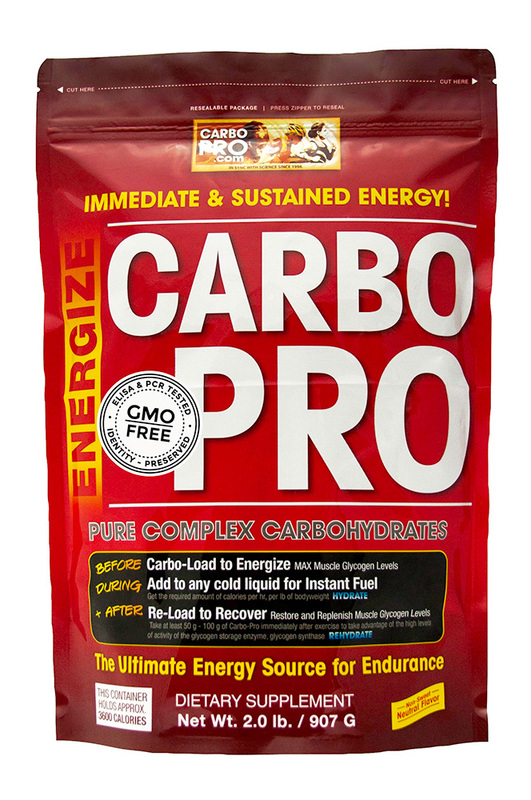 I have also a CarboPro mix (with water) in my Simple Hydration Bottle and 2 Packs of it in my other Simple Hydration Bottle and in a tiny 3-oz bottle (without liquid). I brought with me two (2) Simple Hydration Bottles where one of it is filled with CarboPro Mix without water and the other one with water mixed with CarboPro. Both bottles were clipped with my UD Belt and placed on the back of my waist. A reserve CarboPro powder was inside a 3-oz bottle which is stashed in one of the pockets of my UD Belt. My Nutrition & Hydration Strategy went this way: Eat 3 pieces of Clif Bloks every hour or when I feel hungry; sip my Carbo Pro mix every time my GPS watch makes a “beep” sound which tells me that I just finished one mile which is approximately equivalent to 14-16 minutes; drink at least 16-oz of cold water in each of the Aid Stations; eat something solid and fruits in the Aid Stations; take one Succeed S-Cap Capsule every 1.5 hours; and then mix the remaining CarboPro mix with Gatorade Drinks. The routine was repetitive and boring but it was the key for having successfully finished the race without any issues or problems. 2. Run Light——I did not use a hydration vest in this race and I only used my UD Belt where I stashed my IPhone and my food/mix powder. I was practically running with one Simple Hydration Bottle with liquid in it entire the race. I would have been lighter if I did not bring my Clif Protein Bar and two (2) GU Gel Packs but these food were my “reserves” just in case of any “bonking” during the race. I was using my Hoka One One Huaka which is more of Road Shoe but it is the lightest shoes that I can use for this race. No need for Calf Sleeves; Arm Sleeves; or Gaiters for this run. 3. Metronome——For the past months, whether it is a trail run workout or speed workout on the flat paved roads, I would use the Metronome Application stored/downloaded in my iPhone. This is the very reason why I had my IPhone with me with only one earbud on either on my right or left ear during the race. Metronome Application is now available Free for download and it is very useful in my making sure I was consistent in my running cadence. 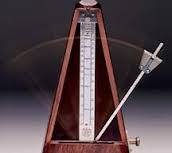 My Metronome is set at 180 steps per minute and the “tick-tock” sound could be easily followed every time I step each foot on the ground. Since my steps are short, quick and fast, I could easily keep in step with the beat. In the early 70s whenever I join Marathon Races, I’ve been using a metronome which was installed in earlier models of TIMEX/CASIO Running watches where there was no need for earphones. The continuous beat would remind or motivate you to keep up with your cadence during the run. Try it in your training runs and you will be surprised on how fast you can keep up with your pace. Additionally, it will generate constant reminder and at the same time distract the pain and suffering you are experiencing during the run. Whether I am the in the ascending or descending parts of the route, the metronome reminded me to maintain my cadence even if I was power hiking on the ascents. 4. Heart Rate Monitor——As soon as I reached the first peak of the course (Km #7), my HR reached its highest Average Record of 163 beats per minute (bpm) which happens to be my Maximum Heart Rate as shown by my Suunto Ambit 3 Peak GPS Watch. I made a quick stop and rest at AS 1 by drinking some water and eating a suman (rice cake). It was a quick stop just to lower my HR and after about a minute, I continued the race by walking and only started to jog again when my HR was lowered to 150 bpm. Throughout the race, I was monitoring HR every mile and I was satisfied that I was able to maintain an average of 150 beats per minute and would not exceed my Maximum Heart Rate of 163 bpm in the steep ascents. Through my HR Monitor, I did not feel any tiring moments even when I was hiking up the “Gulod de Medyo” area. 5. Electrolytes & Salt Tablets——Aside from the CarboPro mix, I used one tablet of GU Electrolyte Tablet every bottle of mixed drinks and constantly orally had taken Succeed S-Caps Capsule every 1.5 hours throughout the race. While my drink mix maintain the continuous replenishment of electrolyte loss through excessive sweating, the S-Cap Capsules made me pee regularly and try to give some feedback on the color of my urine if I am dehydrated or not. This combination of Electrolyte Tablets and S-Caps had been very effective to me in my training for the past 2 months. 6. Quick & Short Stops In The Aid Station——Except for the “turn-around” points where I refilled my bottles (with the CarboPro & Electrolyte Tablet inside) with Gatorade, ate some foods, and drink at least one bottle of 16-oz mineral water and some Cola drinks, where I would spend at least 3 minutes, the rest of the Aid Stations were short and quick to pick-up some bottled water to drink and then leave to continue the race. I think I spent not more than 2 minutes in these remaining Aid Stations during the race. I ate my Clif Bloks and then drinking my CarboPro mix while I was hiking the ascents. 7. No “Selfies” & Unnecessary Picture Taking——Taking some pictures with ones camera or IPhone is very cumbersome and very irritating sometimes as you have to bring out and bring in your camera to your race belt’s pocket or hydration pocket. If it is wrapped with Ziploc or some plastic pouch, the opening and closing of this protection from being wet and damped would entail some unnecessary movements that result to being not focused to the main task of running efficiently. Even if it takes a few seconds to “point and shout” ones camera, if these seconds are totaled or accumulated, it would add up to more minutes of delay on the course. Since there are members of the Running Photographers in the race, I just let them, as the experts with better cameras, take my pictures and just wait for them to post their pictures on Facebook. In a nutshell, proper training/preparation where one has to test his apparel, hydration system, nutrition & hydration strategy and positive mental attitude is the key to a successful finish in an ultra running event. Although, running is an experiment of one, I hope my experience will guide you or test the above mentioned factors if you can adopt them or incorporate them in your running style or manner of finishing an ultra running event/race. My training continues…Go out and run!